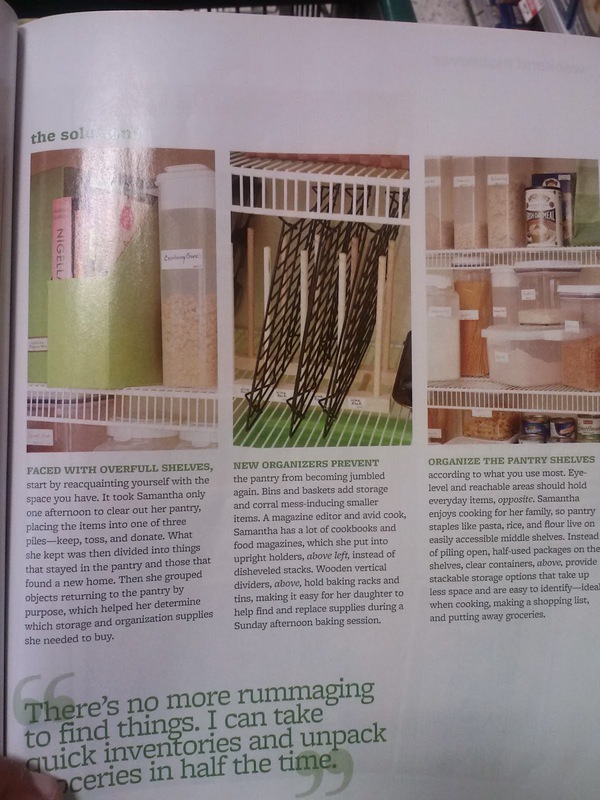 Organized Pantry Ideas - Oak House Design Co. Lately, I have tried to cut down on the amount of processed foods I buy. But still have a few favorites like Doritos for my taco soup and taco casserole, marshmallows for hot cocoa, and microwaveable popcorn. I can't give those up! Those are three staples you are likely to always find in my pantry along with some more healthy things like black beans, brown rice, and pasta. Since I know I am going to eat these things, I would like to be able to store them when I catch them on sale without having to look at a lot of packaging. 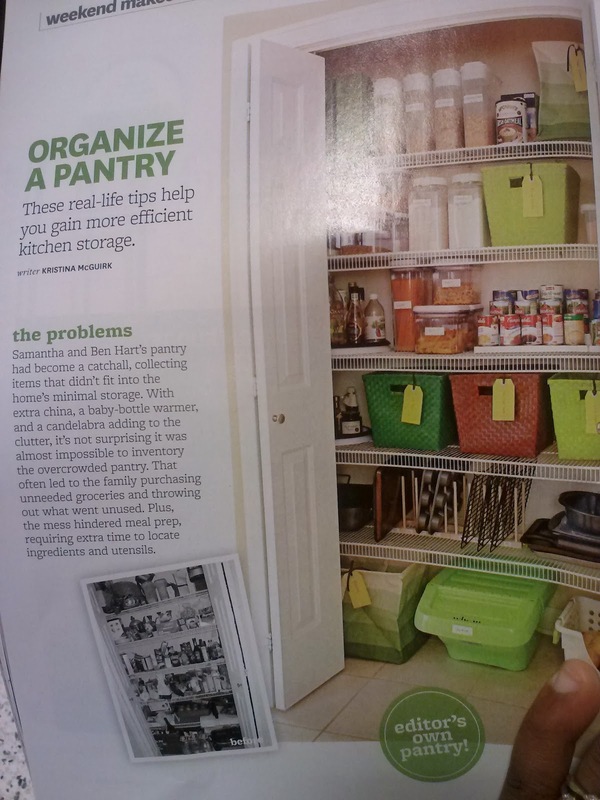 So, I thought this pantry featured in the January issue of Better Homes and Gardens Kitchen and Bath Ideas did a great job of organizing the pantry so that you don't see a lot of the packaged goods. Along with decanting into containers, I think using baskets can be a great way to store packaged goods. I love the way this pantry is organized! Better Homes and Gardens also has a video with tips for how to get this same look for your pantry. I don't know about you, but I am feeling like doing a little organizing!